A great experience for people with all fitness levels - even beginners can join! It was a wonderful experience with friendly staffs. We really enjoyed the zip liners. Highly recommended. 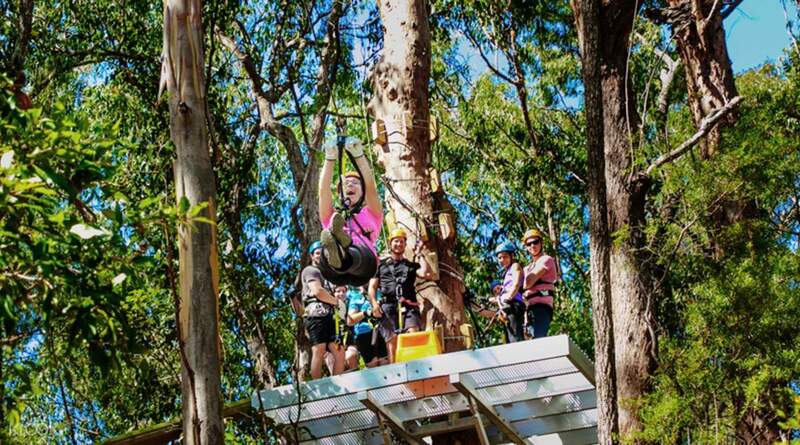 Head down to the Gold Coast's most extreme adventure attraction for 3 hours of adrenaline pumping madness! 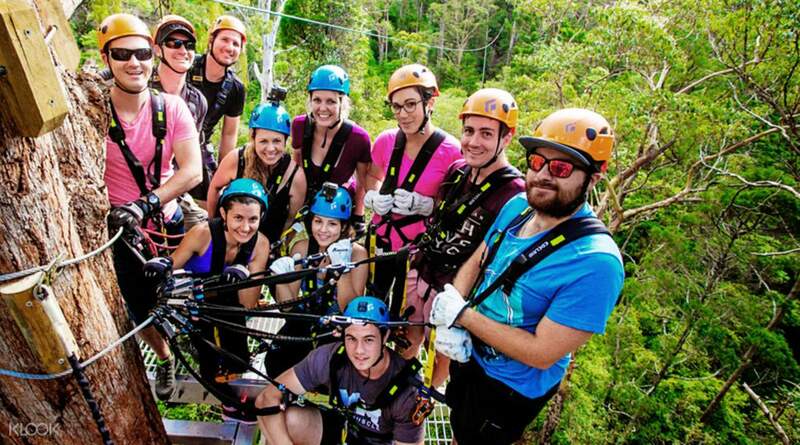 One of Australia's largest guided canopy tours, the Canyon Flyer Zipline Tour consists of up 7 huge ziplines that cross Cedar Creek Canyon multiple times - flying above the fantastic natural landscape. Your adventure starts as soon as you arrive at the reception with a great 4WD (4 wheel drive) experience that takes you into the heart of the forest. 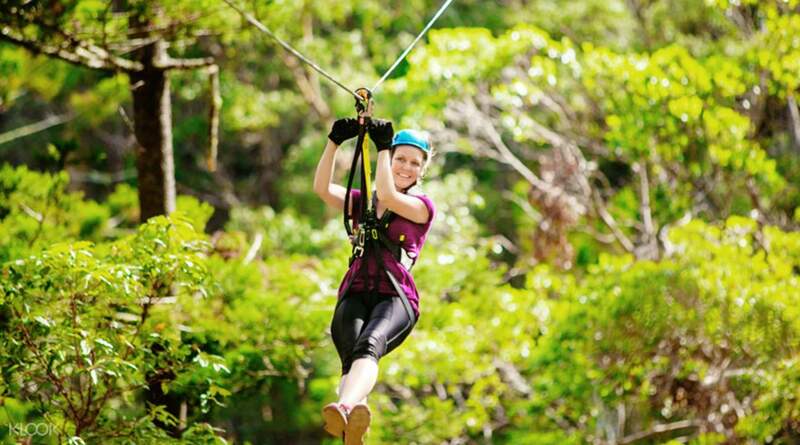 Once you get to the zipline zone, suit up and follow your guide up the canopy. 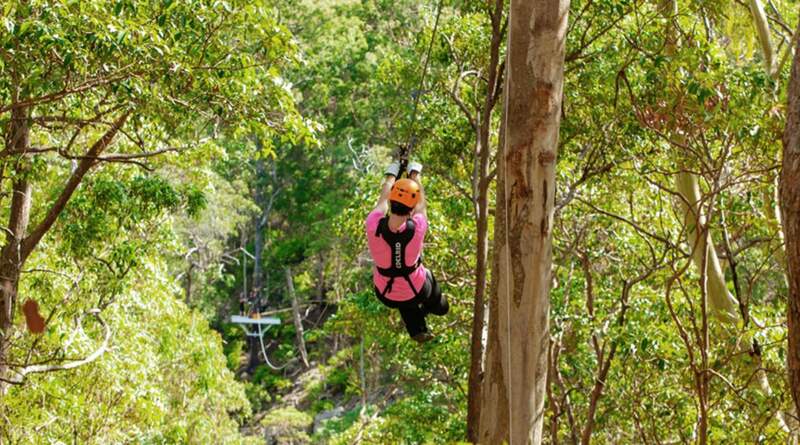 Zip through the forest at 60 meters high and as fast as 70 kilometers per hour. No need to have insane levels of physical fitness - there aren't any difficult parts to this adventure; just zipline all the way! This fantastic activity is good for everyone, regardless of fitness levels! Climb up to the top of the canopy and prepare yourself for the jump! This was a great experience, had so much fun ziplining through the canyons, I went for the afternoon session and was worried it might be a bit too sunny, but the weather was perfect and it wasn’t too hot at all! The instructors are amazing, I had Dale and Reece who are top guys, definitely would recommend canyon flying if in Gold Coast/Brisbane!! This was a great experience, had so much fun ziplining through the canyons, I went for the afternoon session and was worried it might be a bit too sunny, but the weather was perfect and it wasn’t too hot at all! The instructors are amazing, I had Dale and Reece who are top guys, definitely would recommend canyon flying if in Gold Coast/Brisbane!! Voucher easy to redeem. The canyon flyer was fun and exciting, and the guide was funny and takes good care of the group. Great activity to do if you are in the area. Voucher easy to redeem. The canyon flyer was fun and exciting, and the guide was funny and takes good care of the group. Great activity to do if you are in the area. Definitely worth it! The views were spectacular and is a must-do if you're ever in the area. The guides were very thorough in making sure that we all were comfortable and felt safe. Definitely worth it! The views were spectacular and is a must-do if you're ever in the area. The guides were very thorough in making sure that we all were comfortable and felt safe. Great and friendly staff. Making it a safe and fun experience. Great and friendly staff. Making it a safe and fun experience. It was really fun. Great guides. Highly recommend. It was really fun. Great guides. Highly recommend. Highly recommend! Thanks klook! Highly recommend! Thanks klook! It was a wonderful experience with friendly staffs. We really enjoyed the zip liners. Highly recommended. It was a wonderful experience with friendly staffs. We really enjoyed the zip liners. Highly recommended. definitely an exciting experience. very limited physical requirement, really suits all ages of people. definitely an exciting experience. very limited physical requirement, really suits all ages of people. very exciting! our guide was very nice, we have a good time here. very exciting! our guide was very nice, we have a good time here.